Now that Jesse and the gang have vanquished the Wither Storm, saved the world, and become totally super famous heroes, life has gotten a bit more...complicated. With more responsibilities and less time for adventure, old friendships have started to fade -- at least until Jesse's hand gets stuck in a creepy gauntlet that belongs to an ancient underwater temple. Together with old pals and new comrades alike, Jesse embarks on a brand new journey filled with tough choices, good times, and at least one temperamental llama. Includes access to all five episodes in this all-new season from the award-winning studio, Telltale Games. Minecraft: Story Mode - Season Two was released on Switch 257d ago in the US and the UK. 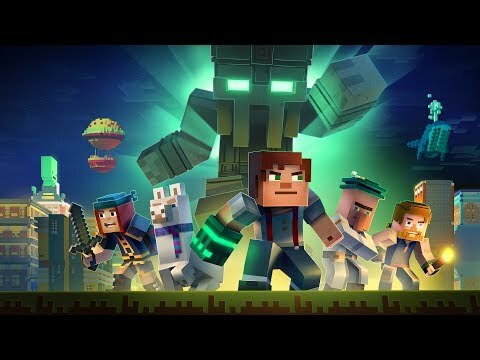 Notify me when Minecraft: Story Mode - Season Two is available.